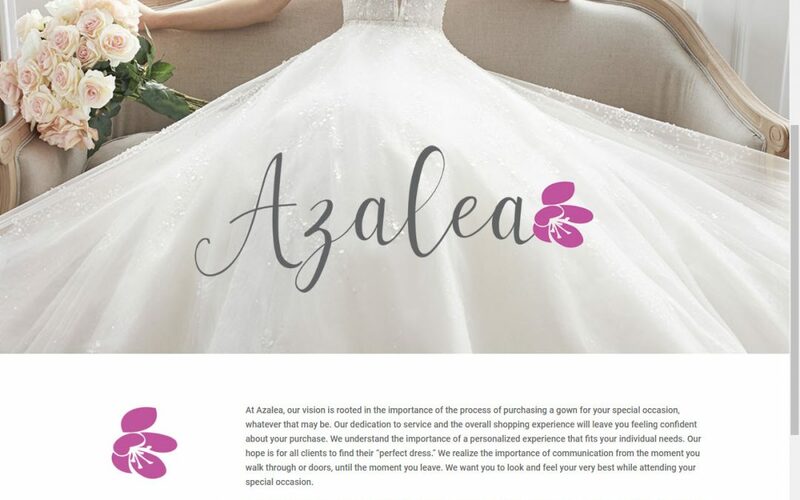 The project (on which we partnered with Dream Digital) to create a brand new website for new business Azalea Boutique LLC, which just opened their store in Guilderland, NY, could not have been more fun. First, the owner, Tara Attanasio, was a treat to work with. Second, the focus of the site, formal dresses, was nothing we had worked on previously. Learning new things is a real, and really fun, benefit of website development! Third, we needed to create something beautiful, elegant and simple to capture the ambiance of the store. We think we did. The new site, at azaleadresses.com, was just want Tara had asked for. Clean, simple lines, and a gallery of the many dress lines they offer. The site is easy to navigate and of course, looks great on phones, tablets and desktops. Tara opted to have GoatCloud host and manage the website, too, so we make sure the site is protected, backed up, functions smoothly and is kept up to date. We’ve also been helping Tara with some social media and local online presence matters, such as the creation of a Google My Business page. If you are in the market for a formal dress, you should check out Azalea in Guilderland!